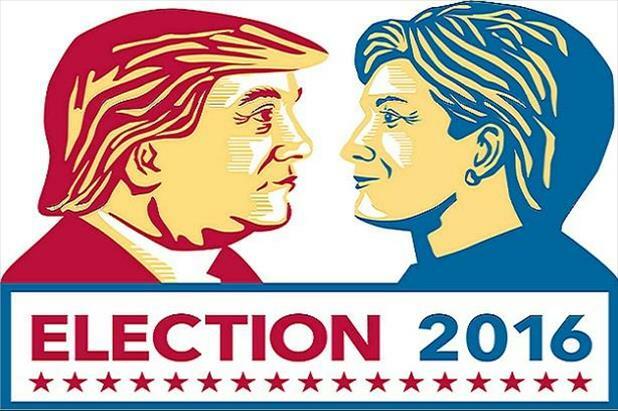 Much has already been written about the 2016 presidential election, but in all the pontificating and prognosticating about the two main candidates, there hasn’t been enough straightforward analysis of how their plans will impact average Americans. To shed a little light about what Donald Trump and Hillary Clinton actually stand for, we decided to examine how the two compare on a few key economic issues. Today’s post will cover their stances on taxes and trade. Check back in the coming weeks to read about their attitudes toward wage/pay reform, job creation, infrastructure and energy investment, and other key topics. Table created by BBC News. In addition to the tax bracket adjustments listed above, Trump has proposed a deduction to cover the average cost of child care and the elimination of the estate tax while Clinton has suggested capping available deductions at 28% and expanding the estate tax by lowering the threshold from $5.45M for an individual’s estate ($10.9M for couples) to $3.5M and $7M, respectively. Both candidates have pledged to close loopholes which favor the rich. According to analyses performed by the Tax Policy Center, Trump’s plan would cut government revenue by $9.5T over the next decade while Clinton’s plan would add $1.1T to federal coffers over the same time period. Changes in tax policy can have far-reaching impacts in terms of hiring and (obviously) take-home pay for many Americans. Just as small businesses sometimes struggle to expand after jumping into a higher tax bracket, the federal government is also unable to add to their workforce if revenues decline or disappear. Trump’s position on trade agreements has been widely publicized throughout the presidential primaries and the general election while Clinton’s position is far more mysterious because of her waffling opinions on several individual deals. The cornerstone of Trump’s “America first economic plan” has always been to restore manufacturing jobs which have disappeared by the millions over the last several decades. The way he plans to do this is by tearing up and/or renegotiating a number of international trade deals. One thing her campaign has made clear is that she opposes a number of Trump’s more radical proposals such as instituting high tariffs in an attempt to mitigate the outsourcing of manufacturing jobs to other countries. Clinton has suggested that such moves could incite a trade war and affect the US’s ability to compete worldwide. However, Clinton also agrees that there needs to be a crackdown on unfair trade practices and violations committed by countries like China. She has suggested imposing “targeted tariffs” on certain offenders and wants to expand US trade policy personnel, adding a new chief trade prosecutor as well as tripling the number of enforcement officers. Regardless of who wins the election in November, trade policy will continue to be an important issue moving forward. Many jobs have already disappeared from the US (some from outsourcing and others have simply become obsolete), but in order to “get Americans back to work” (as both campaigns have promised) a fair and functional trade policy will be needed. Want to “make your career great again?” Check out the millions of opportunities available on iHire! Heather Long – Would Clinton’s Plan Really Create 10 Million Jobs?